Hello, Today I was doing more sorting and I found these two. 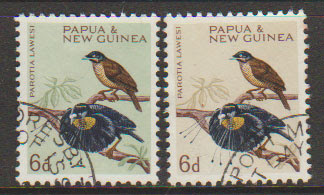 I only have the pale green copy listed in my catalogue – SG 64. Does anyone know if there is another shade / colour?